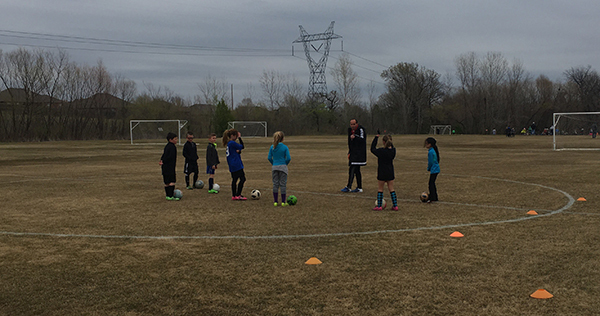 The BASC Genesis Soccer Program is a Juniors program intended to meet the needs of the Recreational Soccer Player, U7 through U10, who desires more focused and formal training with peers of similar skills and abilities. Genesis is not a replacement for the BASC Closed Recreational League or the Recreational Select league, it is a supplemental, Recreational program intended to enhance the player experience and provide a more well-rounded education. What is the purpose of Genesis Soccer? To provide Recreational players the opportunity to train and play with others with similar skills and abilities without the limitations of traditional Recreational Team formation rules. To provide Recreational players the opportunity to train with experienced and accredited coaches. To give young players the tools to succeed in soccer, to think for themselves, and be creative on the pitch. To provide Recreational players the opportunity to play games outside of their traditional closed or Rec Open leagues. To provide a more complete view of the youth soccer landscape to aid in future choices. To educate parents about the Beautiful Game so that they can help foster a love for soccer in their child and promote exemplary sideline behavior. To help develop BASC coaches and encourage them to increase their knowledge and ability to train at higher levels. How is Genesis Different than traditional Recreational Soccer? Teams – Genesis has no formal “teams” and there is no League to play in. Players are trained in a pool or “festival” type environment where all players train together. Games consist of scrimmages at the end of each training session, friendly matches with other Genesis or Closed League teams, and other entities in the Tulsa area. 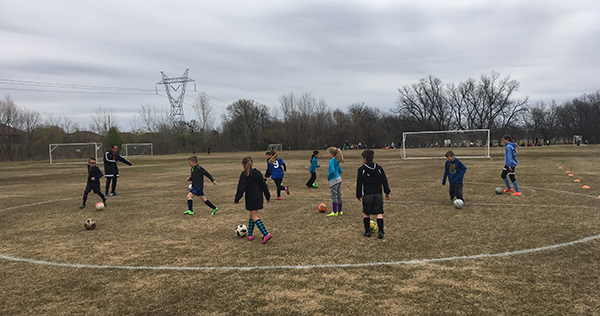 Playing time – Genesis soccer coaches are not required to adhere to the traditional 50% playing time rule in the same way that Recreational coaches are. Each player receives playing time, and the coach will do his/her best to reach 50% for all players based on factors such as attendance and performance. Training locations – Genesis training will be held at Indian Springs in most cases. Game locations – Genesis friendly matches could be held at Indian Springs or at the opponent’s home complex. Genesis’ goal is greater than winning games. We want to train the young players in a manner which facilitates their future success in soccer – at any level. Lessons about sportsmanship, respect for the game, respect for officials, honesty, perseverance, integrity, and a desire to compete are tantamount to lessons about skills and tactics. This includes practical applications such as building out of the back -- learning to play out of the back in challenging situations, not just when it’s easy to do so, is critical. We will focus on development and not winning games. Genesis will focus on training to train and developing the individual player. Development of the individual includes allowing the player to be creative, use their imaginations, and be confident in their abilities. Mobility – utilization of space on the pitch when in possession of the ball and interchanging positions as well as when on defense. Throw ins, goal kicks, and corner kicks placement. Communication – Grow and develop leadership and communication skills. Learning the correct terms for the game. A one-time registration fee of $25 would be required. This fee would be used to pay for field rental, referees, and training material. There will be an additional cost for uniforms unique to Genesis Soccer. There are no coaching fees or other monthly fees involved. Genesis players will not be permitted to miss training or a game with their primary BASC League team in order to attend a Genesis function. Genesis is a secondary commitment. Genesis coaches will strive for consistency regarding curricula while still allowing for each individual coach to express their individual creativity in designing formal sessions. In most cases curricula will be standardized for each individual age group. Genesis coaches are passionate about the development of young players and are Nationally Licensed by USSF or NSCAA. Genesis coaches are experienced in working with and developing young players as well as coaching at the high school and other levels. All Genesis coaches are exclusively BASC coaches, members of BASC, and in most cases, have children playing in our Club. They are also volunteer coaches who also train BASC Closed League and OSA Open/Rec Select League teams. * Genesis coaches are required to hold USSF “E” or USYS “Y” Licenses or the equivalent NSCAA credentials. Exceptions may be made on a case-by-case basis and are at the discretion of the Genesis Director. How Do I know if Genesis is Right for My Child? Here are some characteristics of a child that may be a good fit for Genesis. This list is not exhaustive and is comprised of highly subjective criteria. It is not necessary for your child to possess all of these qualities, but if they demonstrate some of them they may be suited for this program. They tend to dominate play on their existing Recreational team. They are excited about soccer. They spend time with the ball at home, on their own, outside of practices. They are more coordinated, agile, and stronger than most of their teammates. They are faster than most of their teammates. They possess a more aggressive demeanor on the pitch than their peers. Does my child want this or is it what I want? Am I willing to adjust my expectations from Recreational soccer to a more advanced experience? Am I willing to change my sideline behavior if necessary? Genesis festival training will held weekly or bi-monthly, depending on the number of players in each age group. Genesis festival training will be held at Indian Springs Sports Complex. Register your Genesis Player now to begin playing the beautiful game!